This is my buying guide to eBay in Switzerland, change the language & get Swiss global shipping — now in 2019 available in English! Continue reading for support for French language..! Most Swiss eBay sellers are also selling on the international version of the eBay website, which is available in English. So you necessarily don’t need to go through the Swiss version of the site at eBay.ch, available only in German. Also, anything ordered from Europe that’s valued below 65 Swiss francs (or 54 Euros) is free from import duties, and thus you have more options there. This is how you can search for and buy items from eBay in Switzerland, with global shipping and delivery to the country. Step 2. Click on where it says “Advanced”, besides the Search button. Step 3. Scroll the page to “Location” section. Step 4. Select Switzerland from the drop-down menu. Step 2. Search for your desired items as usual. Step 3. Look for the “item Location” settings on the left side, where you can quickly choose shopping region as Europe to narrow down the search. 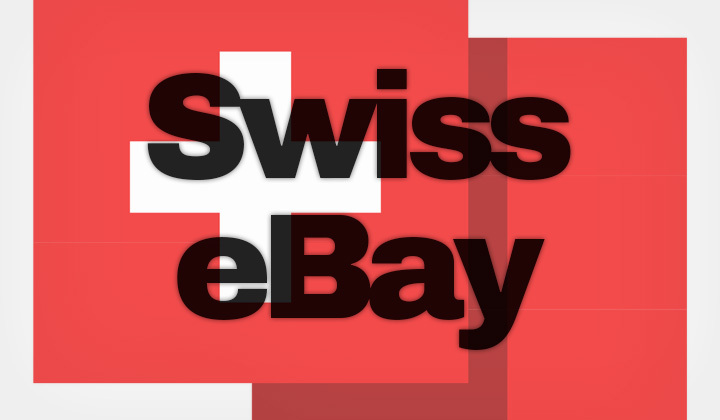 Wherever you are located, eBay provides a convenient way to access the Swiss market with their Global Shipping Program for international sellers. If you wish to list your items directly on the local Swiss version of eBay, for the time being you will need to register a new seller account there and list items separately. This process is only in German, or see translation methods below. If you wish to use the native German version of the local Swiss eBay store, an alternative is to have it automatically translated to English or French. Namely, Google Chrome is the most convenient web browser that can achieve this. By simply browsing to eBay.ch with Chrome, it will ask you if you want to have the site translated live, as you browse the pages of eBay. This will only work, if the language of your operating system (Windows, Mac, etc) is set to some other language than German. But please be warned, while this works very well for registration, searching for items as well as for finalizing purchases, it won’t convert item descriptions to French, English, or any other language. You will need to copy paste the text, to Google Translate for example and have it translated separately. The internet auction house, Ricardo is an established e-commerce site in the country, founded in 1998. Available in both German, and French, it’s a seller/buyer portal which supports both buy now items as well as bidding. A more traditional, but popular classified portal where Swiss sellers can list their items for sale. Founded in 2010, this site has no transaction costs and buyers communicate directly with seller. Website only in German. These two sites are most similar to eBay in Switzerland. However, they mostly serve the market for individuals, and locals only. Know of any other good alternatives for eBay in Switzerland? Or have questions concerning shopping on Swiss eBay in English? Comments and suggestions most welcome below, please! Please note; The range of items, and products on the international version at eBay.com and local Swiss website version at eBay.ch are different. Checking both sites is advices, check the direct links above. Thanks & regards, David. Also I want to be transparent with my readers, and let you know that some posts, such as these equivalent, or sites similar to writings contain affiliate links. This keeps me working hard to bring beneficial content to all. Thank you so much!